Do you come to my home for consulting? Yes, depending upon where you live – this first consultation is free. Do you have to visit on site or can we work remotely? For most projects I do not need to come to your home. I have several clients who are working remotely. I do not. I refer those out to a specialist. I do make simple, unlined curtains. 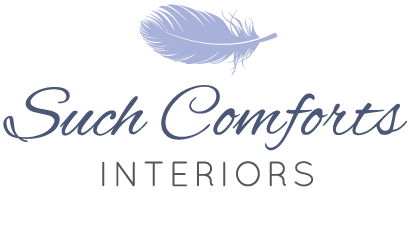 Do you require that I work through a Decorator/ Interior Designer? do not work through a decorator. If you decide to work directly with me, please be very clear about your designs. Do you carry or sell fabric or pillow forms? parameters of an appropriate fabric for the design. • We discuss the details of what you want made. • I take measurements or you send them to me, along with any other sketches, etc. that give details of the project. • I email you an estimate of fabric needed and labor costs. I include all the details that we discussed. • You send me a 25% deposit when you decide you want to move ahead (with the balance to be paid upon completion of the project). • You order the fabric needed and have it sent to me directly. • I will notify you when I receive the fabric, go over the project again and give you a timeline of when I expect to complete it. • I make your item(s) and deliver or mail the finished product to you. Have a question that is not covered here? Send me a message and I can provide more information.